TechSIL round profile molded EMI/RFI Shielding O-Rings come in over fifty sizes to fit your specific application. They come with cross sections ranging from .030” to .139” and inside diameters ranging from .145” to 3.987”. TechSIL molded parts can be molded out of all sixteen standard compounds. 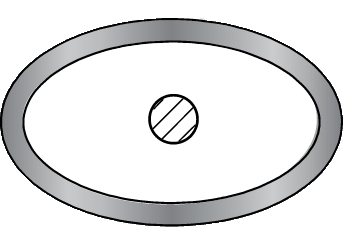 The O-Rings can be used with or without a groove. Additional sizes and compounds are available upon request. 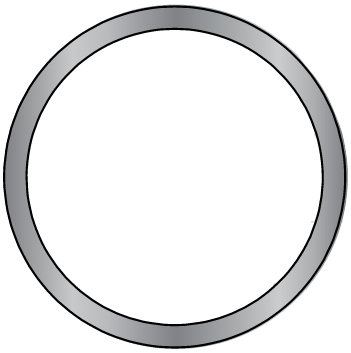 Tolerances on dimension B shall be ±.003" for parts with a Ø of .070" and below; ± .005" for diameters from .101" to .200". Tolerances on dimension C shall be ± .010" for parts from .001" to 1.500"; ± .015" for parts from over 1.500" to 2.500"; ± .020" for parts from over 2.500" to 4.500"